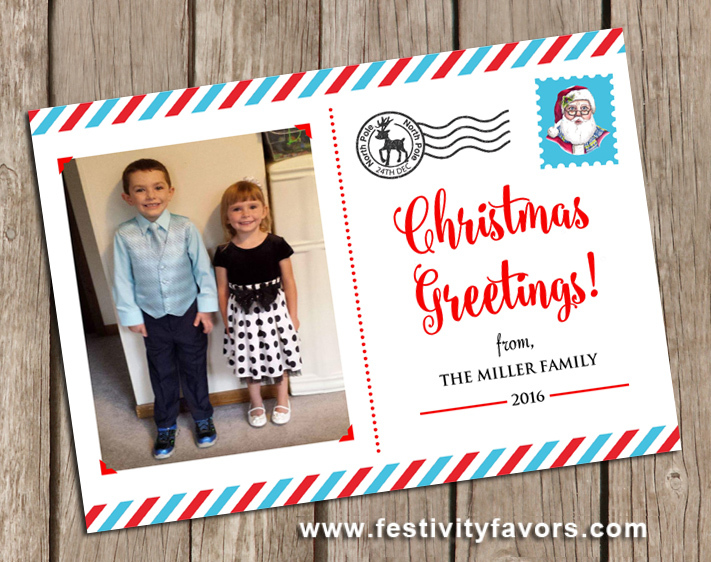 These Christmas greeting photo cards can be personalized however you'd like. 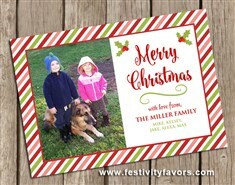 Please email me the picture that you would like on the cards after you make your purchase. Please note that these are not printed on photo paper. They are printed on matte white card stock. Proofs via email: REQUIRED. 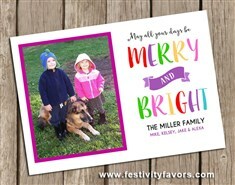 Card proofs are normally emailed within 24-48 hours of receiving payment and personalization information. From time to time our workload is busier than normal. Please click here to check current turn around time. Personalization info that you would like on the bottom of the card. Please type exact wording in this box.